Space Systems/Loral (SS/L), announced in May 2005 that it has been chosen by Asia Satellite Telecommunications Company Limited (AsiaSat), Hong Kong, to build AsiaSat 5, a new generation communications satellite designed to offer improved power and coverage to AsiaSat's customers across the Asia Pacific region. 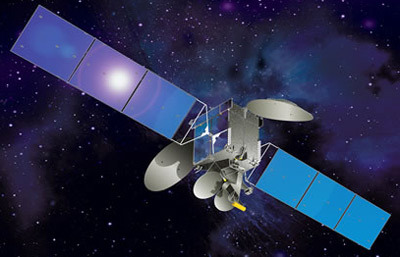 AsiaSat 5, a fixed satellite services (FSS) spacecraft expected to launch in 2008, will replace and expand upon the services provided by AsiaSat 2 at 100.5 degrees East longitude. The satellite will be based on SS/L's SSL-1300 platform, which features qualified, flight proven subsystems and a long record of reliable operation. The satellite's payload will carry both C- and Ku-band transponders and has a 15-year mission life. AsiaSat 5 will be compatible with a range of commercial launch vehicles. Space Systems/Loral and AsiaSat announced in May 2009, that it has been selected to provide a new communications satellite, named AsiaSat 5C, to Asia Satellite Telecommunications Company Limited (AsiaSat). In early 2010, the Satellite was renamed AsiaSat 7. It will serve as a backup for AsiaSat 5. The spacecraft is based on Space Systems/Loral's SSL-1300 satellite bus, with performance similar but not limited to that of AsiaSat5 designed for the provision of fixed satellite services for television broadcast, telephone networks, and VSAT networks for broadband multimedia services across the Asia Pacific. AsiSat 7 will be used as a placeholder for Thaicom under the name Thaicom 6A until the Thaicom 6 satellite has been launched.